Francesca Dale in Art & Photography on 4 October, 2016. 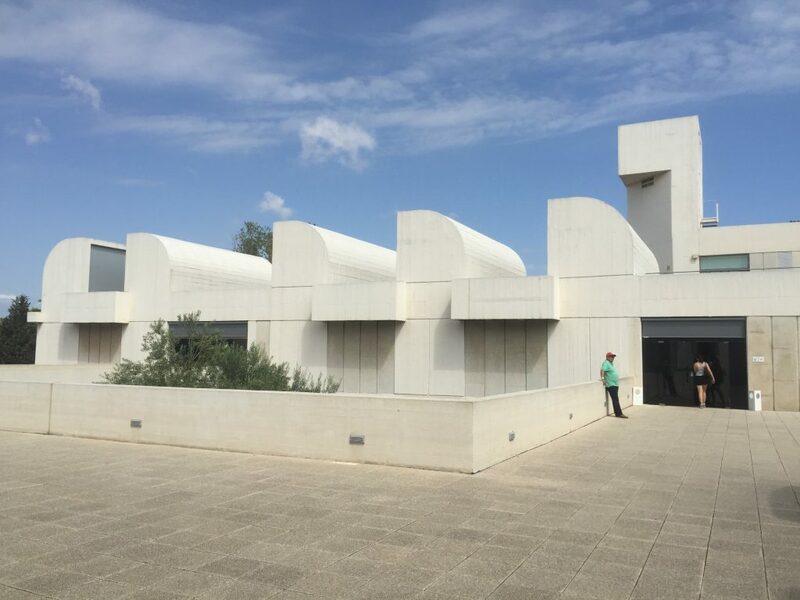 Even before one steps into the Joan Miro Foundation gallery a stunning artistic sight can be beheld, the very delight of the building itself. Designed by architect and city planner Joseph Lluis Sert the building has Mediterranean features such as a roof terrace to explore sculptural pieces and a stunning central courtyard with a rationalist structure, pinpointing it on the Spanish map as one of Barcelona’s must see destinations. The sheer breadth and diversity of Miro’s work is overwhelming and the foundation fantastically captures the dynamic artistic experiences and practices that he developed and experimented with, as over 20 rooms of his greatest works are available to the beholder. 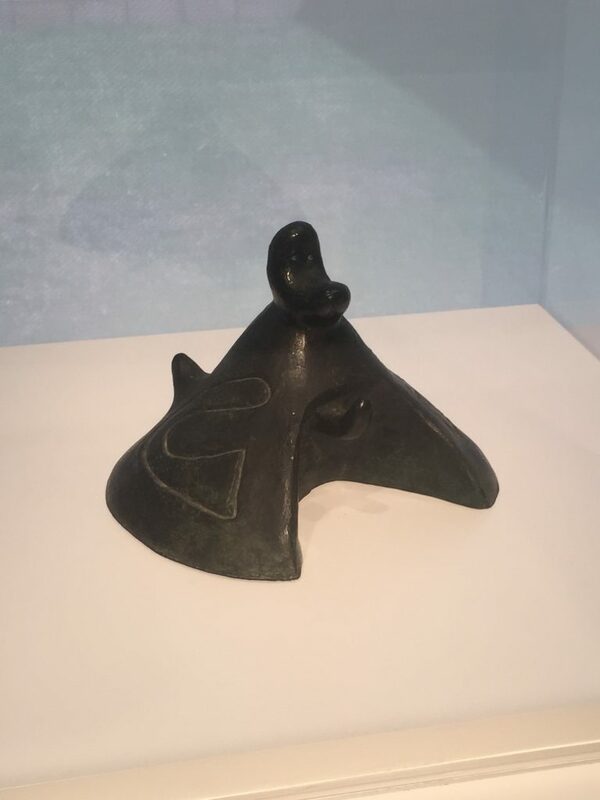 One may be surprised to learn that Miro did not only engage with Surrealist painting practices but also embraced sculpture, ceramics and even the interesting sobreteixims. Miro began his career with a relentless dedication to expressing the essence of what he considered human existence to be. He had a strong connection to the land, of Mont-roig, and this was a source of inspiration. Miro emphasises the importance of nature as he says ‘It is the land, the land. It is stronger than I. The fantastic mountains have a very important role in my life, and so does the sky.’ Despite Miro’s flirting with the Parisian avant-garde trends he always returned to his small village hometown for creative influence within his art. 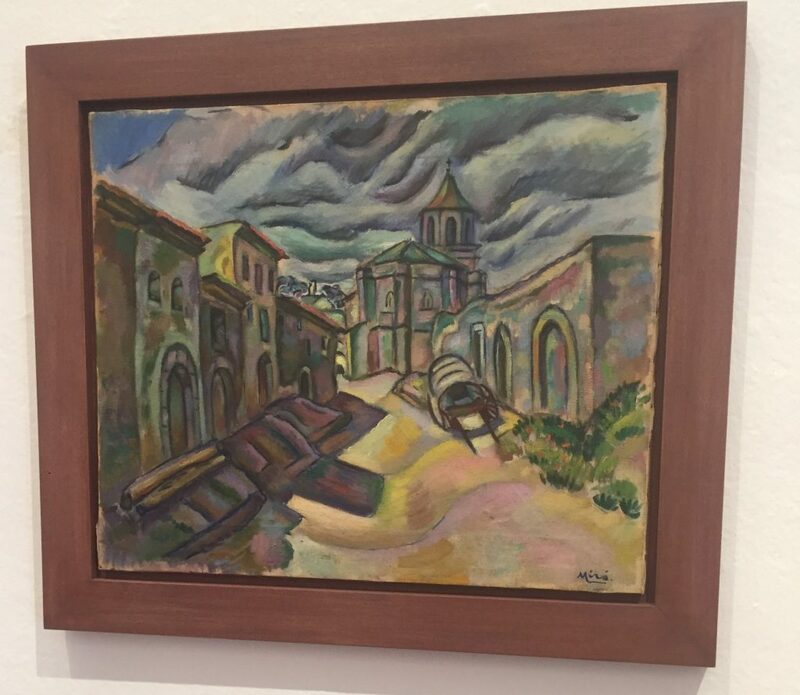 The connection Miro has to the land can be successfully translated in his piece ‘Prades, A Street’ (1917), one of his earliest paintings which reveals an eclectic style of painting with an influence from the style and solidity of Cezanne’s work. Miro applies bright and bold colours to the canvas to translate the vivacity and livelihood of nature and it’s identity. Miro was influenced by artists through Catalan and French avant-garde magazines and various exhibitions in Barcelona. In the early 1920s Miro moved to Paris, the pinnacle of modern civilisation, where he discovered his neighbour Andre Masson, an artist who experimented with Cubism and later Surrealism. Miro discovered a new way of painting, shared with other avant-garde artists, one that expressed a deep desire to move beyond the formal and representational conventions of poetry and painting and instead dug deeper under everyday normal life and expectations. Thus this period became the one in which Miro embraced Surrealism. 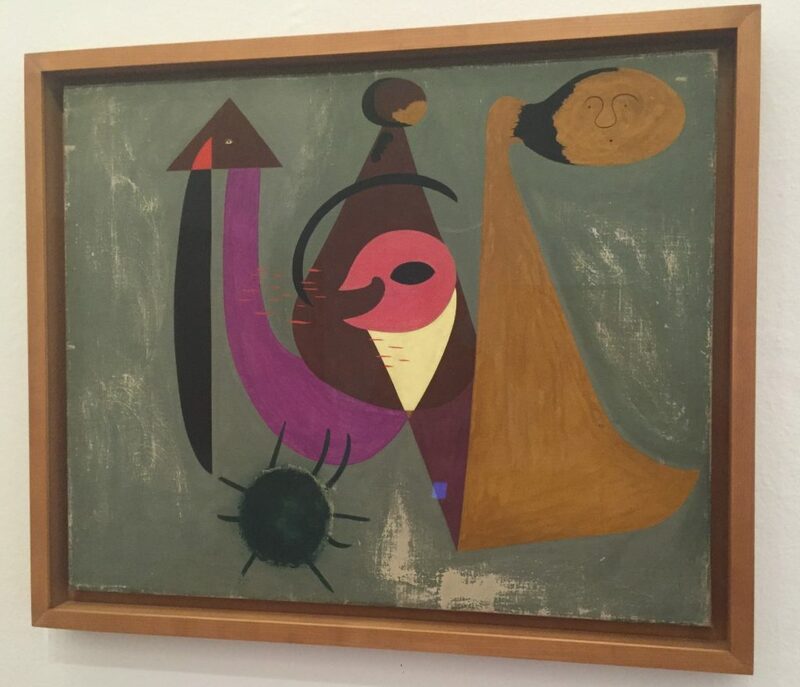 Miro was no longer satisfied with the medium of painting and instead tried to negate it, embracing mediums such as collage and alternating his traditional painterly practices. The negative connotations of painting were not ones that Miro would strengthen ties with anymore. Miro boldly states that ‘Painting disgusts [him] profoundly.’ In pieces such as ‘Composition with figures in the burnt forest’ (1931) Miro applies layers of paint, but only later to rub and scratch them, physically disturbing the medium. By doing this he confuses space and depth, rejecting rationality. Soon after Miro became interested in mural painting. Instead of rejecting painting he decided to merely question it instead. Thus he investigated the symbiosis of art and architecture moving to Palma de Mallorca in 1956 to find new influences. Miro went on to create the notable triptych piece ‘Painting in white background for the Cell of a Recluse’ (1968). Miro argued that ‘at the very limit, one line, one colour can make a painting.’ He saw line as the origin of all painting and thus the origin of creation and existence, a theme he explored throughout his entire career. 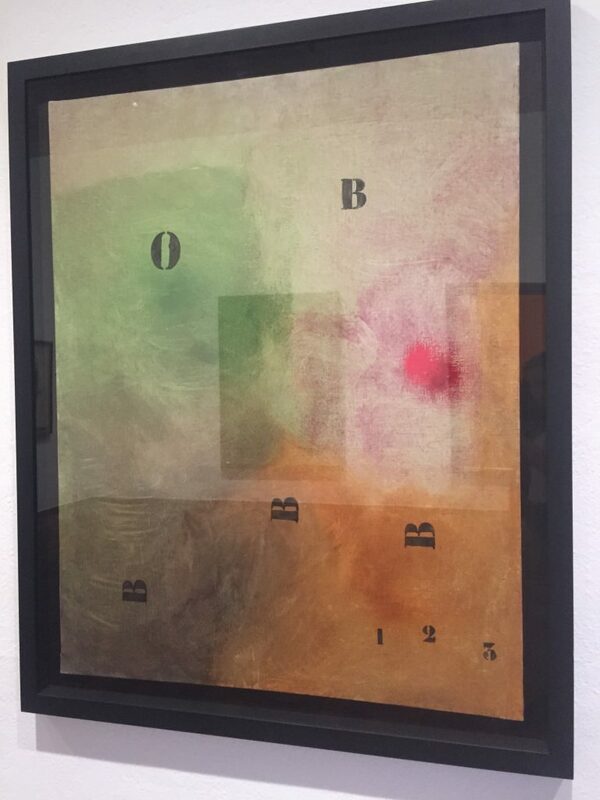 In Miro’s work ‘Letters and Numbers attracted by a spark, III’ (1968) one can see the continued relationship between painterly representation and poetry that Miro sought in his earlier career. Here Miro could be argued to represent the painting as a sort of poem, with the letters symbolic of the written word. Miro scatters letters across the space and suggests them as phonetic signs to instil a sense of sound within the viewer. Miro’s production of work from the 1960s includes many slowly executed paintings and he created what he called ‘anti-painting.’ Miro physically abused the canvas, unconventionally stabbing and ripping it. Thus he challenged the conventional notions of paintings and historical artistic practice. A prime example of his practices can be seen in his work ‘Burnt Canvas 5’ (1973), where a large gape in the canvas remains. 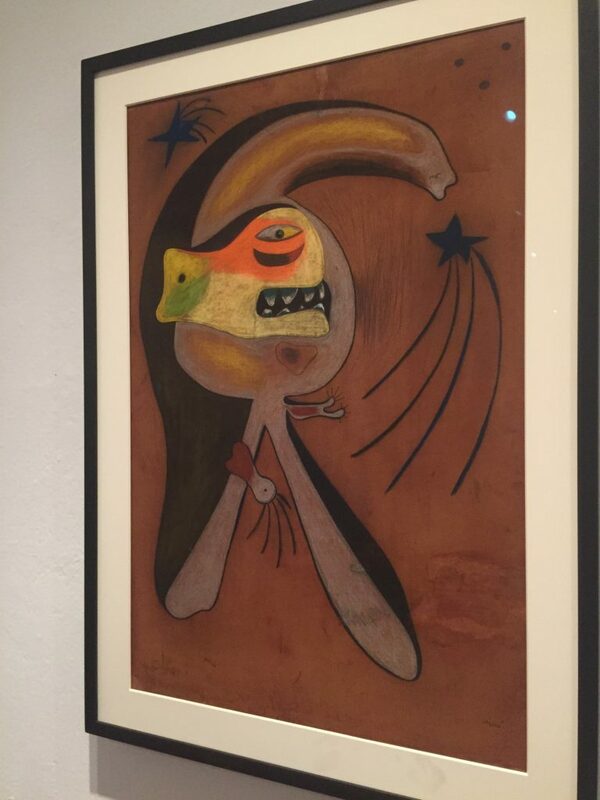 Finally, the most stunning and surprising of all of Miro’s work remains with his sobreteixims. Miro’s interest in folk art and culture, normally associated with the peasantry class, redefined his work. He created tapestries inhabited with recurrent symbols of female figures, birds and constellations. Sobreteixims are high reliefs of rough, rustic bases containing a variety of everyday objects in vast forms. 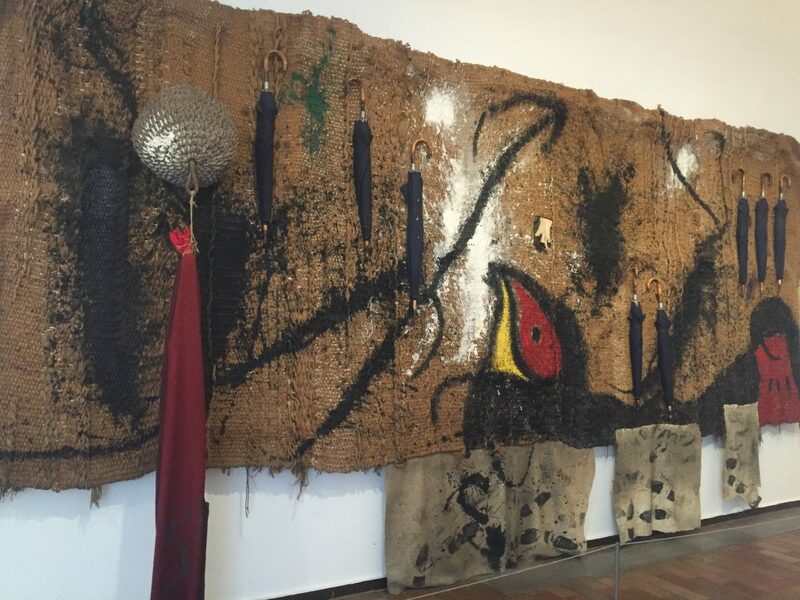 His piece ‘Sobreteixim with eight umbrellas’ (1973) shows an extremely large tapestry taking up an entire wall, with eight umbrellas attached. 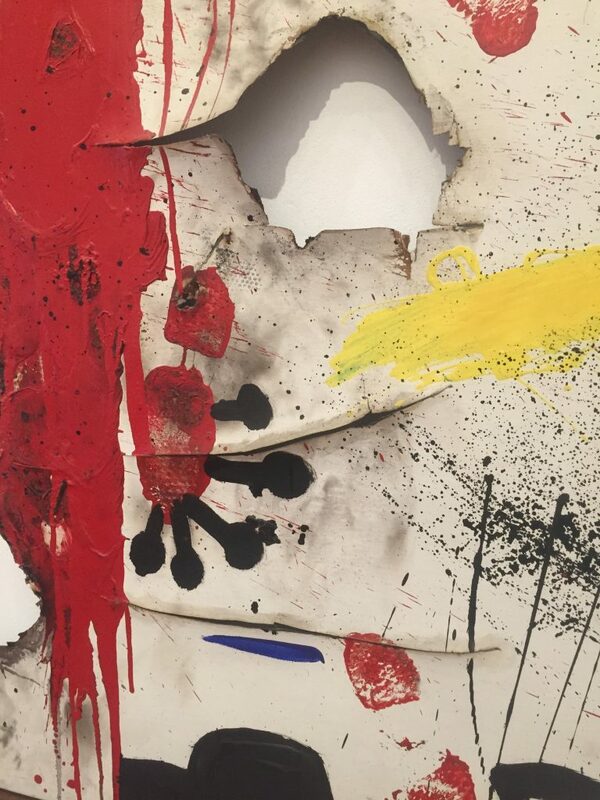 The Joan Miro Foundation creates a magnificent journey in which one truly understand the vast differentiation of work that Miro created and the various artistic practices and movements he involved himself with, a true treat for a gallery-goer.